Dark bar jazz, down to the bone blues and a singer whose voice smokes like a burning oil field – that’s what Hookerman is. The Dutch-German band was founded in 1995 and found the inspiration in the work of Tom Waits … the American singer songwriter – and has since then been plucking strings in the Clubs of the Kingdom of Netherlands and the Republic of Germany. The Quintet has published three CDs : 1998 „Between August and July“, 2002 „Absolutely maybe“ and 2008 „Monkey Zoo“. With their Song „Diggin‘ a Hole“ Hookerman was deeply involved in the International Singer Songwriters contest where the good old master Tom Waits was one of the jury members … they stumbled in the semifinal! 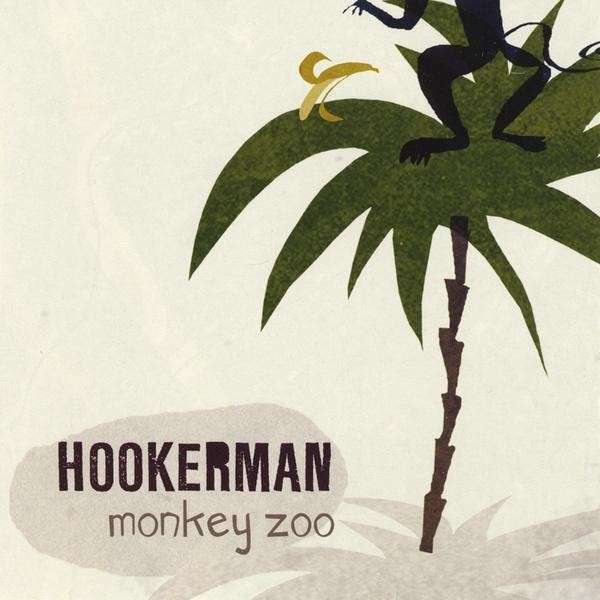 Hookermans music is highly hypnotic, free-spirited but emotional. With talent, intelligence and tenderness, these musicians create exciting songs flowing from their capability to come together or to let the other go in a virtuoso solo. Never losing the character of the song or its melody or rhythm. Hookerman is another invitation to the blues. Mit einer Stimme so alt wie die Welt und die Gründe, an ihr zu verzweifeln. Das eiert so wie Vaudeville-Voodoo-Mink deVille, dazu ein lecker juicy Örgelchen-Trostpflasterklümpchen. Die anderen Stücke sind flotter – alle bisschen kaputt, verrückt, aber dabei nicht abgehoben, sondern rockig, bzw. maßvoll jazzy, und immer satt gekonnt. Bis mit dem letzten Stück das „Affentheater“ dann zum sedierten Kreisen, Stillstand, Schweben, dem Stecken in was giftig Süßem, klebrig Nebligem kommt, mit diesen gewissen Gitarrenakkorden, die wie Fragezeichen klingen: So enden die Dinge. Und zwar schön.